Therapy is a collaborative process. We will work together to explore your difficulties. Any methods we use to assess or help you address your difficulties will be evidence based. To get the most from therapy requires you to actively work on things we talk about both during our sessions and at home. Psychotherapy can have benefits and risks. Since therapy often involves discussing unpleasant aspects of your life, at times, you may experience uncomfortable feelings like sadness, guilt, anger, frustration, loneliness, and helplessness. On the other hand, psychotherapy has also been shown to have benefits for people who go through it. Therapy often leads to better relationships, solutions to specific problems, and a significant reduction in feelings of distress. There is good evidence for the benefits of psychotherapy in the treatment of emotional difficulties, but there are no guarantees regarding what you will experience. What can I expect from an initial assessment? Our initial session will involve an assessment of your needs. By the end of the assessment, we will be able to offer you some first impressions of what our work will include and a treatment plan to follow, if you decide to continue with therapy. You should evaluate this information along with your own opinions of whether you feel happy to continue working together. Psychological therapy involves the commitment of time, money and energy; it is important that you feel comfortable with and confident in your psychologist. 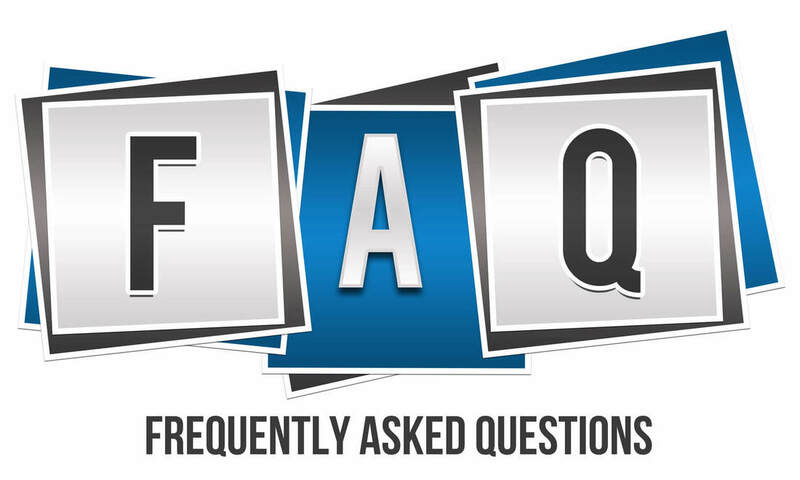 If you have questions about our services, we should discuss them whenever they arise. If your doubts persist, we will be happy to help you set up a meeting with another clinical psychologist for a second opinion. If we both agree to proceed with further appointments, we will usually schedule a 60 minute session per week or fortnight at a time we agree on. Once an appointment hour is scheduled, you will be expected to pay for it unless you provide 24 hours advance notice of a cancellation. If you need to rearrange (and provide adequate advance notice), where possible, we will try to find another time to reschedule the appointment. The number of sessions required depends on your specific situation. After an initial assessment appointment, your clinical psychologist will discuss how many sessions she believes are likely to be required. The number of sessions depends on your goals, specific needs and your ability to work on your goals between sessions. It also depends on how frequently you choose to attend. Some people find weekly sessions beneficial whereas others prefer fortnightly or less frequent sessions. This can impact on the length of time you are engaged in therapy. At Forth Psychological Services, your clinical psychologist will always give you an indication of the likely number of sessions required after the initial assessment appointment. How can I be certain a therapist is qualified? ​At Forth Psychological Services, Dr Kathryn Quinn and Dr Eimear Coyle are registered with the Health and Care Professions Council (HCPC) and the British Psychological Society (BPS). The HCPC regulate health and care professionals in the UK and provides protection to the public. Professionals registered with the HCPC must meet national standards. Clinical Psychologists are registered with the HCPC as Practitioner Psychologists, anyone using this title must be registered by law. It is also good practice for a psychologist to be a member of a professional body such as The British Psychological Society. You can check whether a psychologist is a chartered member on the BPS Directory of Chartered Psychologists or the List of Chartered Members. Whilst it is mandatory for psychologists to be registered with a professional body, it is not for counsellors. Please take care when choosing your therapist and make sure they are fully accredited. I can talk to a friend or family - why is therapy helpful? Often a supportive friend or family member can help us through challenging times. However, having a non-judgmental, confidential space can be important in getting to the heart of difficult issues. At Forth Psychological Services, our qualified clinical psychologists have undergone extensive training to offer evidence based therapies which have proven effectiveness in treating mental health difficulties. Therapy is not just about talking, therapy is about recognising patterns, changing behaviours and challenging unhelpful thinking. This requires work between sessions as well as during them. At Forth Psychological Services, we do not prescribe medication. As clinical psychologists we are not trained to do so. However, we are respectful of your decision to take medication. In some cases, a combination of medication and therapy is an effective treatment. We are happy to liaise with your GP or other healthcare professional with your permission. What do I do if I feel suicidal or in crisis? If you are experiencing suicidal thoughts, try to ask someone for help. If you are concerned about your safety, please contact your GP or NHS 24 Helpline (Telephone: 111). If you feel in immediate danger, call 999. Forth Psychological Services is not a crisis service and cannot respond to urgent requests. Please contact the above numbers or alternatively there are several helplines you can call at anytime such as: The Samaritans 08457 90 90 90 (call charges apply) or email jo@samaritans.org ; or Breathing Space 0800 83 85 87. You can also find information at www.chooselife.net. Psychotherapy often involves discussing personal information with your psychologist, such as your thoughts, feelings, and actions. Any information that you disclose in session will remain confidential. Generally, this means your psychologist will not discuss you or your case with any third parties without your consent. We are registered under the Data Protection Act with the Information Commissioner's Office. We are required to keep appropriate records of the psychological services that we provide. Your records are maintained in a secure locked location in the office. We keep brief records noting that you were here, your reasons for seeking therapy, the goals and progress we set for treatment, your diagnosis, topics we discussed, your medical, social, and treatment history and your billing records. Except in unusual circumstances that involve danger to yourself, you have the right to a copy of your file. Should you wish to have a copy of your records, we recommend that you initially review them with us, or have them forwarded to another mental health professional to discuss the contents because they are professional documents. You also have the right to request that a copy of your file be made available to any other health care provider at your written request. Records of charges, payments, diagnoses, and any other sensitive information are kept on your psychologist’s computer and are password protected.